Dan Darragh (10) runs with the ball as Bob Kalsu (61) looks on. After recently posting a photo of Bob Kalsu, I was forwarded a wonderful article about the former Bills lineman. 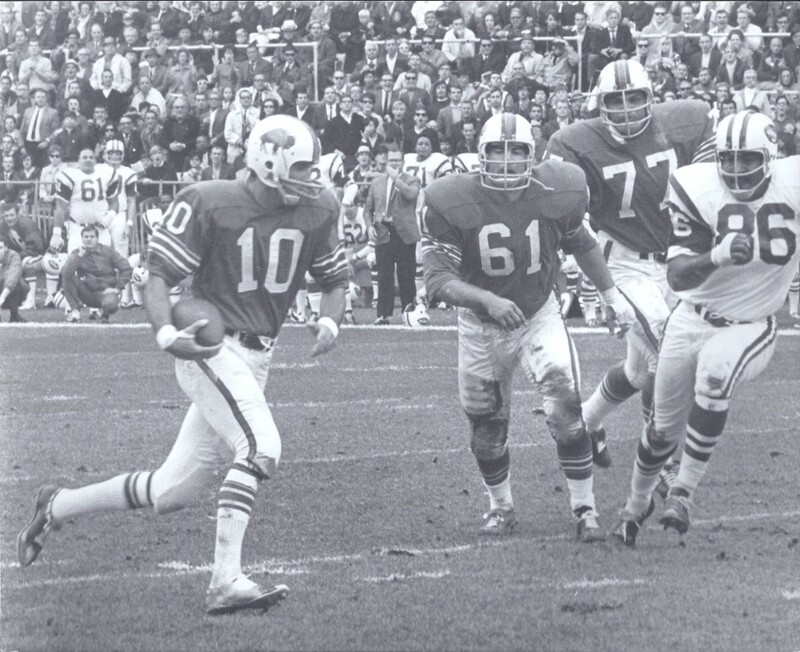 As many of you already know, Bob Kalsu was the only professional football player to lose his life in the Vietnam War.